There is a wide range of options for getting to the Alishan National Scenic Area in Taiwan. The first step will be to get to Chiayi City in the southwest from wherever you are in Taiwan. This provincial city is the base of public transport services that ply the Alishan route. Do take note that while it is easy enough to get to Chiayi City, the journey onwards to Alishan has scheduling limitations. International travelers make their way to Taiwan through two gateways: Taiwan Taoyuan International Airport in the north and Kaohsiung International Airport in the south. The airport in Kaohsiung is nearer Chiayi and is the better pick for those who have this option. We entered Taiwan through the airport in Taoyuan because there are no direct flights from Mactan, Cebu to Kaohsiung. OFF TO TAIWAN. Philippines AirAsia flies the Cebu-Taipei direct route thrice weekly. We took advantage of the thrice weekly Cebu-Taipei flights that Philippines AirAsia launched in the later part of 2016. The good thing about AirAsia’s flight schedule was that it left Cebu at 6:10 am and arrived 30 minutes ahead of the arrival time of 9:10 a.m. Our early arrival gave us time to pick the slower regular train and still make it to the last bus schedule for Alishan from Chiayi. It took us over six hours to make our way to Alishan from the Taoyuan airport using the regular train. The bus from the airport to the Taoyuan train station took 30 minutes. Train from Taoyuan to Chiayi was about 3 hours and the bus to Alishan took another 3 hours. Alishan’s spectacular sunrise and sunset and well-preserved nature park more than made up for long journey. TRAVEL IN COMFORT. You ride a cruise-style train with seat-assigned tickets. If there are no more seats, you will be informed by the ticket counter so you can pick another schedule. Traveling on one isn’t a pain because the seats are comfortable and plush, have wide legroom, and can be reclined in case you want to sleep. In the photo is a bento snack, which others recommend you try. It was good, not really exceptional. Using a combination of bus and regular (express, mountain line) train, Chiayi is just about an hour and a half from Kaohsiung airport and three hours and a half away from Taoyuan airport. Train (express, mountain line) fare to Chiayi is NTD245 from the Kaohsiung and NTD532 from Taoyuan stations. This is cruise-style train with seat-assigned tickets. Traveling on one isn’t a pain because the seats are comfortable and plush, have wide legroom, and can be reclined in case you want to sleep. If there are no seats available on the train schedule you want, they will inform you at the ticket counter so you can pick another time. If you are very sure of your travel timetable, you can book tickets at the Taiwan Railways Administration (TRA) website. One advantage of taking the regular train is that the station for Alishan buses is just right outside. If you’re starting from the Taoyuan airport, there is a shuttle bus that leaves for the Taoyuan train station from the airport at regular intervals. Bus fare is around NTD30. The train stops at the Chiayi City station. An alternative to the regular train is the high speed rail, which cuts travel time to Chiayi by two-thirds. The fare, or course, is more expensive: around NTD400 from Zouying station in Kaohsiung and around NTD900 from Taoyuan station in Taoyuan City. Booking your tickets early can get you as much as 35 percent off on the fare. Early bird discounts are given on tickets booked from 5 to 28 days before the use date. 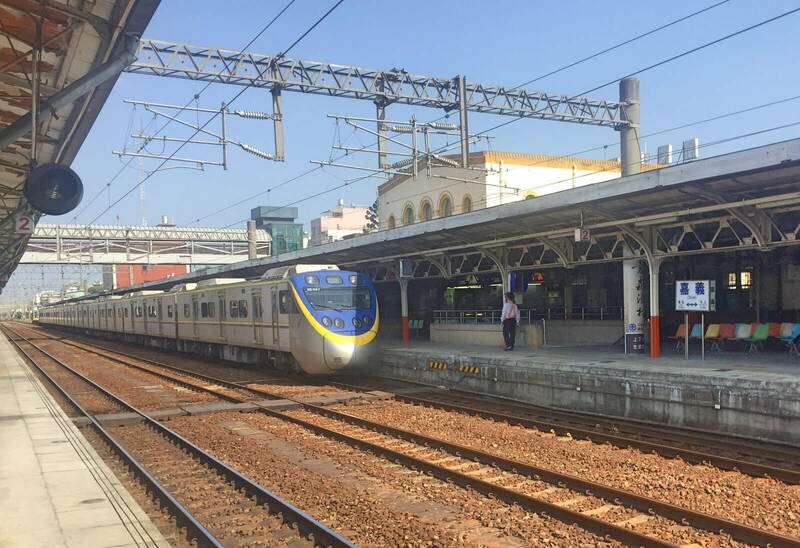 The Taiwan High Speed Rail (THSR) is quicker but you still have to hop on a bus or take a cab from the Chiayi railway station to the Chiayi TRA station. The distance is about a 30-minute bus ride. Buses that ply the Alishan route start their journey from a small station just outside the Chiayi stop of the TRA train. TERMINAL. The terminal at Chiayi for buses heading to Alishan. Those older folks will try to have you take their vans, just decline them. Visitors have three options in getting to Alishan from Chiayi: combination of forest train and bus, bus only, and cab. Of all three, the forest train is a highly recommended mode of transport. The Alishan train is comfortable and offers scenic views of Chiayi County but it makes only one trip daily on weekdays and twice on weekends and holidays to Alishan. The train leaves Chiayi at 9 a.m. and arrives in Fenqihu at 11:20 a.m. The tickets get sold out early so book in advance. TOLL GATE. This is where you pay the entrance fee for Alishan National Scenic Area. From Fenqihu, you will need to take a bus to the Alishan National Scenic Area. Since the train arrives at 11:10 am on weekdays and 12:20 pm on weekends and holidays, people who take the forest train to Alishan get a few hours to explore Fenqihu before the 2:40 pm bus to the mountain resort arrives. If you want to leave earlier than 2:40 p.m., get on the bus Shizhao, which is 20 minutes from Fenqihu, and change to the one for Alishan. If you can’t make it to the early train to Fenqihu, there are direct buses from Chiayi to Alishan. The first and last trips from Chiayi happen at 6:10 am and 2:10 pm. Fare is NTD230 for adults and NTD115 for children. At the bus station outside of the Chiayi train stop, a few elderly women will try to talk you into taking a van for Alishan. Outside of the forest train, the bus is the next best transport to the mountain resort. If, however, you fail to make it to the last trip at 2:10 pm, they definitely would come in handy. A cab from Chiayi to Alishan is another option for travellers. It costs around NTD2,000-2,500 for a maximum of four persons travelling together. Shortly before reaching the Alishan National Scenic Area, the bus stops at a toll gate where passengers are asked to disembark and pay the NTD150 entrance fee to the park. YOU’VE ARRIVED. Chiayi to Alishan buses park and drop off passengers in front of this 7-11 outlet in the township center. This is also where you buy bus tickets on your way back to Chiayi.